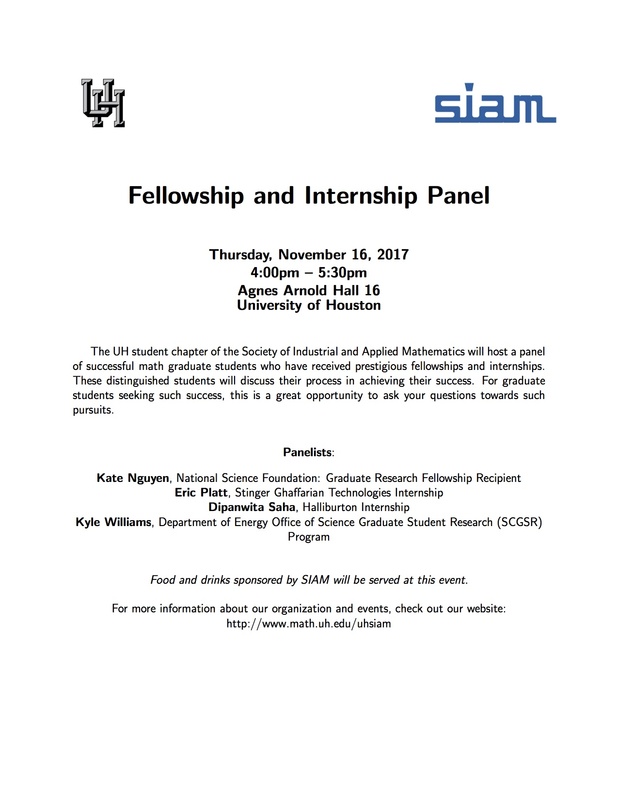 UH SIAM Student Chapter's "Fellowship and Internship Panel"
As evidenced by the prestigious internships received by Kate, Eric, Dipanwita, and Kyle, there are internships and fellowships available for graduate students through various avenues. These distinguished students will discuss their process in achieving their success. For graduate students seeking such success, this is a great opportunity to ask your questions towards such pursuits. Food and drinks sponsored by SIAM will be served at this event.